Donald (Donnie) Ray Wiggins, 62, of Des Arc, Arkansas with his wife and granddaughter by his side, went to be with the Lord on February 22, 2018 at 8:32 A.M. after a long hard battle with melanoma cancer. 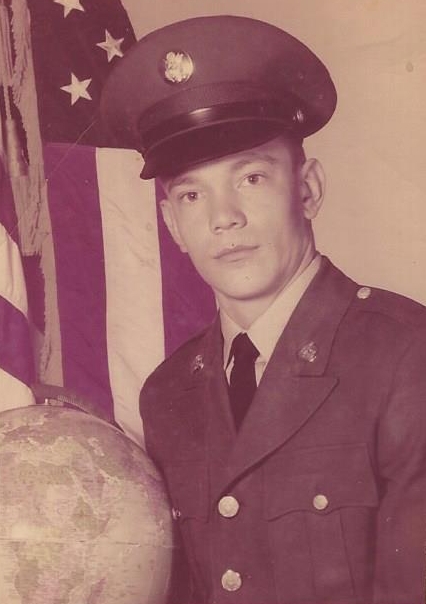 He had been at UAMS and Hospice Home Care the last 2 weeks of his life, both in Little Rock. Donnie was a retired carpenter, an avid hunter and fisherman, and a friend to many. He loved God, his family and considered his closest friends his brothers. Donnie was preceded in death by his grandparents, Claude and Gladys Wiggins and Clarence (Bud) and Hassie Neil; his father, Earl Wiggins; his mother, Frankie Neil Floyd and one infant grandson, Lane Nichols. He is survived by his wife and companion of 34 years, Karen Fort Wiggins; one daughter, Amber (JJ) Walicki of Des Arc; son Justin Dallas Wiggins of Des Arc; two step-sons, Robert (Melissa) Nichols of Brookland, Arkansas, Billy (Stephanie) Nichols of Des Arc; brothers, Randy (Sue) Wiggins of Fayetteville, Arkansas, brother and best friend, Rick Wiggins of Hazen, and brother, Marty (Rhonda) Griffin of Hazen; sister Vivian Lynette (Mike) Bocage of Elgin, Illinois; step-father, Elmer Floyd of Hazen; three step-sisters, Ramona (Richard) Kell and Kelly (Scott) Lavoie both of Sandwich, Illinois, and Becky (Dennis) Johnson of Des Arc; one uncle, Ernest (Donna) Neil of Hazen; nine grandchildren, Kirsten (Peeper), Lucas, Hayden, Cole, Chloe, Ethan, Jett, Willow, and Gemma, and a host of other family members. A memorial services will be held March 3, 2018 at 10:00 A.M. at Morris Chapel Missionary Baptist Church in Des Arc. In lieu of flowers, donations can be made for the care of Willow and Gemma to Karen Wiggins at Farmers & Merchants Bank, Des Arc, Ar. 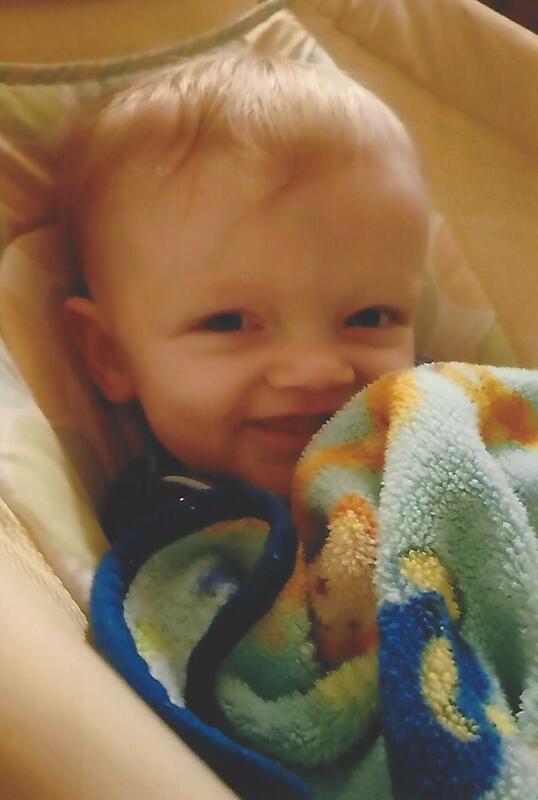 Zachari Dwayne Edge, 3 years old of Hazen, passed away peacefully while in the company of his loving mother, Deviane LaFaye Fox on February 22, 2018 in his home. Zachari is survived by his mother, Deviane and his brother, Hunter Fox both of Hazen; his nana, Glenda Fought; his aunts, Shannon Shatzer and Shawana Cessor; cousins, Kiersten , Tyler and Jessica; Zach’s future family, Dustin Howard, Kira, Zane, and nana Nancy. He lived only a short life with us due to a rare terminal illness. He was brave, strong, and fought hard, but God had other plans for him. He was preceded in death by his uncle, Daniel Cessor, sister, Kira Allyn Howard, grandma, Lily Bell Cessor and Charlie Tumey family. Funeral services will be 2:00 P.M., Saturday, February 24, 2018 at the Peppers Lake Church of Christ. Visitation will be from 1:00 to 2:00 P.M. prior to the service. Burial will be in the Peppers Lake Cemetery. He was preceded in death by his parents, and one sister, JoAnn Gettey. Ron is survived by his brothers, Albert Dale of Crossett, Arkansas and Lynn Dale of Shreveport, Louisiana and many nieces, nephews, cousins, and special friends. The memorial service for Ron will be held at 2:00 P.M. on Saturday, February 10, 2018 at the Westbrook Funeral Home Chapel in Hazen. Burial will be in the Hazen Cemetery. Gilbert William Hahn, 91, of Slovak died peacefully Thursday, February 1, 2018 at his home in Slovak. 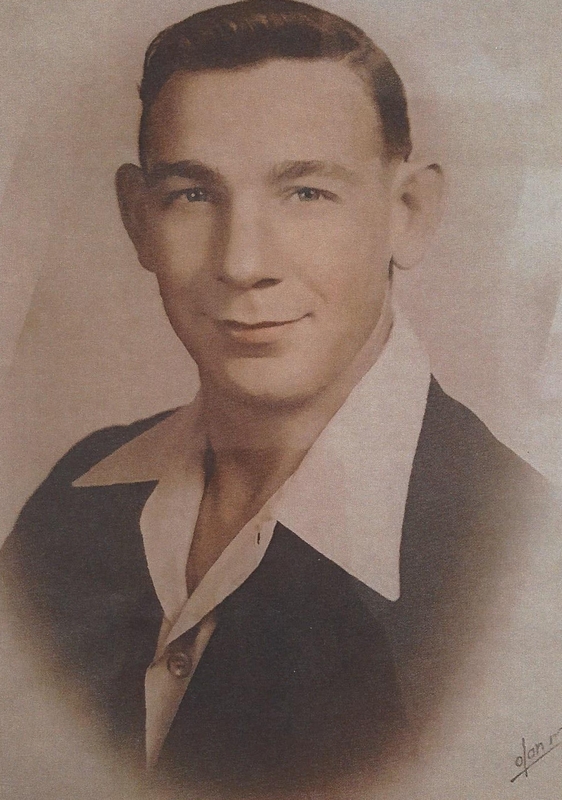 Gilbert was born January 15, 1927 in Slovak, Prairie County to E.W. and Agnes (Dudrick) Hahn. He started his career as a trucker before becoming a famer. He was hailed as one of the best mechanics in the area. He had a passion for working on machinery. He also enjoyed hunting. He met the love of his life, Dorthy Willis Hahn and was married on September 4, 1950. They spent 67 years devoted to raising a family and a farm. Besides his parents, Gilbert was preceded in death by his daughter, Peggy Hahn Young; brothers, Frank Hahn, Raymond Hahn and sister, Gladys Brasher. Besides his wife, survivors include his sons, Dean Hahn, Jim Hahn and Rick Hahn; grandchildren Will Hahn, (Megan) Leigh (Chris) VanHouten, Myra (Mark) Duke, Josh Hahn, Eric, amy, Becky, and nine great-grandchildren. Services will be held Sunday, February 4, 2018 with visitation starting at 1:00 P.M. at St. John’s Lutheran Church and the service will be held at 2:00 P.M. also at the church located at 205 East 5th Street in Stuttgart. In lieu of flowers the family has asked memorials to be made to St. John’s Lutheran Church or the Museum of the Arkansas Grand Prairie. 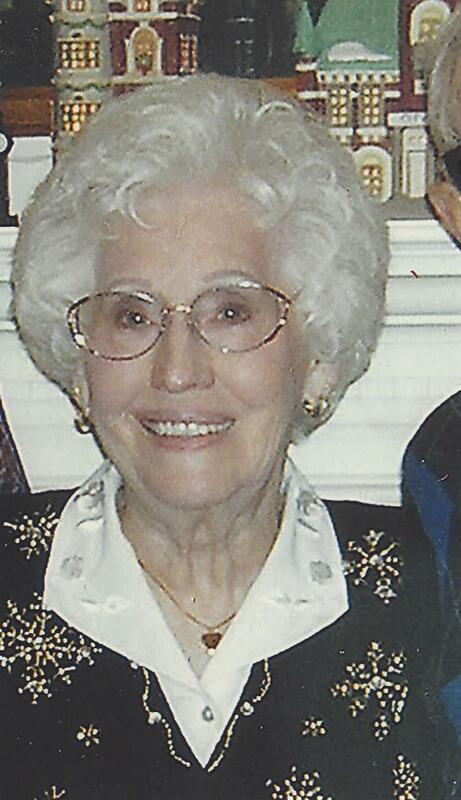 Mavis Adele Ridout Hall, 96, of Hot Springs, Arkansas passed away February 1, 2018. She was born March 21, 1921, at her grandmother’s home in Aurora, South Dakota. The daughter of Otis Benjamin Ridout and Verneice Irene Ridout, she was raised in Brookings, South Dakota. She was preceded in death by her parents, her brother, Charles Ridout who died in infancy, her husband of 58 years, Everett Hall and her daughter, Diane Hall Ray. She is survived by her son, Everett “Buddy” Hall, Jr. (Vicki) of Little Rock, grandchildren, Jenifer Bohanan (Derek) of Stuttgart, Blake Davis (Ashley) of Nashville, Tennessee, Tara Strain (Billy) of Dallas, Texas, and Adam Hall (Stacey) of Little Rock, and great grandchildren, Loren, Molly, and Rhett Bohanan, Bailey and Crawford Strain, Olivia and Owen Davis, and Sadie and Henry Hall. Mavis was a fun-loving, witty, competitive, talented, outgoing person who was well-liked by all who knew her. She was also intelligent, intuitive, and insightful and imparted her wisdom freely as a parent, a friend, and a Sunday School Teacher. She grew up actively engaged in numerous school sports and other activities and was especially talented as a singer, piano player and violin player. At age 5, she found a piano in a relative’s bedroom and just started playing it. At age 8, she sang on the radio with the Lawrence Welk orchestra. As an adult, she taught piano lessons in her home and also played for her daughter Diane who entered and won many singing contests. Even at age 96 when her voice grew very weak, Mavis could still remember the words and sing most any song from the 1930’s and 1940’s. After graduating from business school in Minnesota, she accepted a job in Washington, D.C. in December 1941 at the National Labor Relations Board where, due to her proficient typing and shorthand skills and ability to get things done timely and accurately, she was eventually promoted to secretary to the Chairman. In 1948, she met and married the love of her life Everett Hall and in 1951 moved to Hazen, Arkansas, where she and Everett raised their children Diane and Buddy, before retiring to Hot Springs, in 1974. She thoroughly enjoyed playing bridge, poker and bingo and going to the horse races. Mavis loved her family deeply and as she grew older she often expressed an attitude of gratitude for the wonderful, happy, blessed life she had lived. Her family and friends will miss her big smile, hearty laugh, quick wit, and joke telling, and she will be fondly remembered as a colorful character with a spunky spirit. The family would like to especially thank her caregivers, Gladys, Lettie, Dot, and Evan who took such great, loving care of her during her last few years. And we would also like to thank the staff at Arkansas Hospice for their tender care in her final weeks, as well as everyone at Country Club Village where she happily resided the last 23 years of her life. Services will be held 2:00 P.M. Monday February 5th at the First United Methodist Church in Hazen. Visitation will be from 1:00 to 2:00 P.M., prior to the funeral service. Interment will be in the Hazen Cemetery. Memorials may be made to the First United Methodist Church, P.O. Box 712 Hazen, Arkansas 72064.